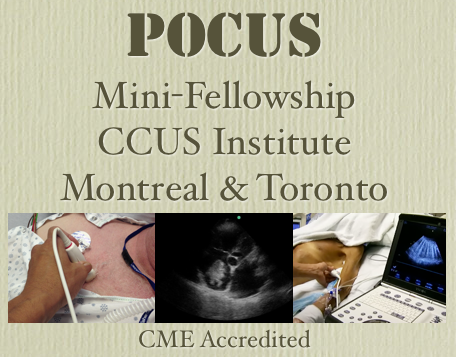 The personalized CCUS Institute’s Mini-Fellowships (CME-eligible) are focused on bedside ultrasound and designed to take clinicians with some degree of proficiency in basic ultrasound to a whole other level. 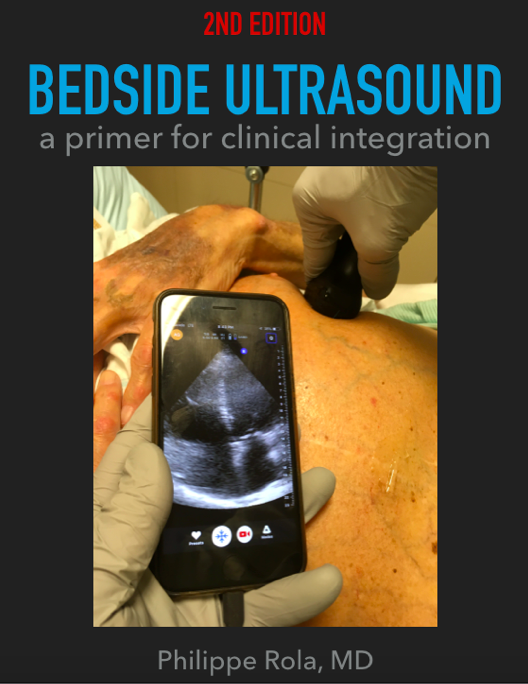 The opportunity to follow a seasoned clinical ER/ICU sonographer and see actual cases, learn the clinical integration of ultrasound data into decision-making is a unique one, outside of a handful of residency programs whose faculty includes experienced bedside sonographers. 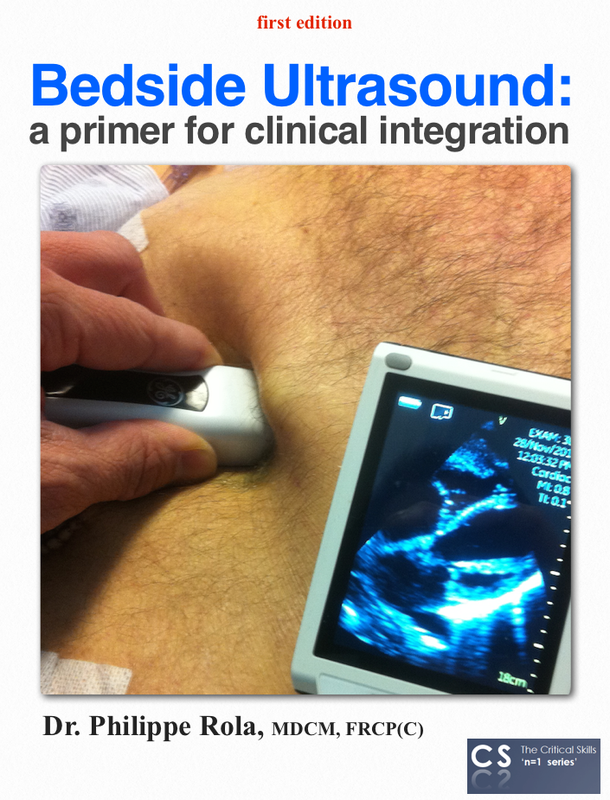 Basic how-to courses are great, and certainly the first step for those clinicians adding ultrasound to their armamentarium, but what we have seen, sadly, is after initial enthusiasm, many don’t really pick up the probe because the confidence to “make the call” simply isn’t there. Yet. In a sense, it’s almost as if, as medical students, we’d read Bates, practiced physical exam on each (more or less normal ) other, and were then set out to make diagnoses and treat without having residents and attendings around to confirm our findings a few times, until we got the hang of it. Hmm. That would be rough. 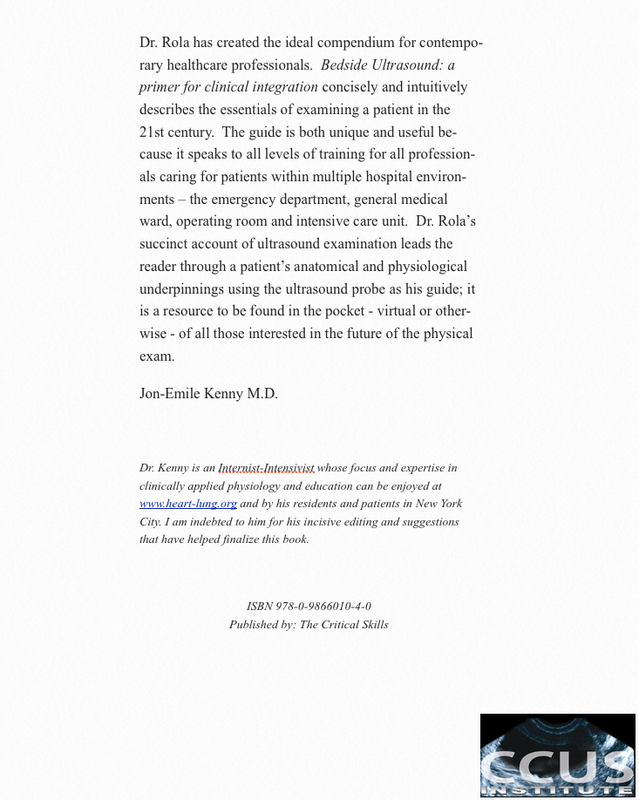 Some physicians are fortunate enough to practice in a center where there are a few “veterans” of bedside ultrasound and can gain some acumen that way, but others may be the ones spearheading their institution into the 21st century, and it is from the comments of several of those, attending the CCUS Symposium (2008-2014 – perhaps a return in 2017) asking for the possibility of shadowing some of us, that the Mini-Fellowships came to be. Montreal Mini-Fellowship: Participants shadow one of our instructors (ICU attending) during the regular working days and discuss the cases and ultrasound-relevant aspect of each case (more often than not the case in entirety), and are able to practice their ultrasound skills. The duration is flexible although we generally suggest a minimum of two or three days. Each day would usually be about 6-8 hours, some may be more. Toronto Mini-Fellowship: Participants get a dedicated and highly experienced preceptor (Dr. Edgar Hockmann) who is not on clinical service but with access to the ICU patients, and will provide a structured and dynamic session adapted to the participant’s needs and abilities. The case exposure will be mainly ICU as well as ER and ward patients. The focus will be on acute care issues. After two days, participants who had a basic ability in ultrasound should be fairly comfortable with assessing volume status, cardiac function, perform lung ultrasound, be able to identify and assess intrathoracic and intr-abdominal fluid collections, assess the kidneys, bladder and gall bladder, measure optic nerve sheath, assess carotid flow and some may have exposure to trans-cranial doppler. The focus may be shifted depending on a participant’s interest. This takes place in Montreal, Quebec or Toronto, Ontario, Canada. Participants will have the opportunity to work with handhelds, midrange and high-end ultrasound devices. 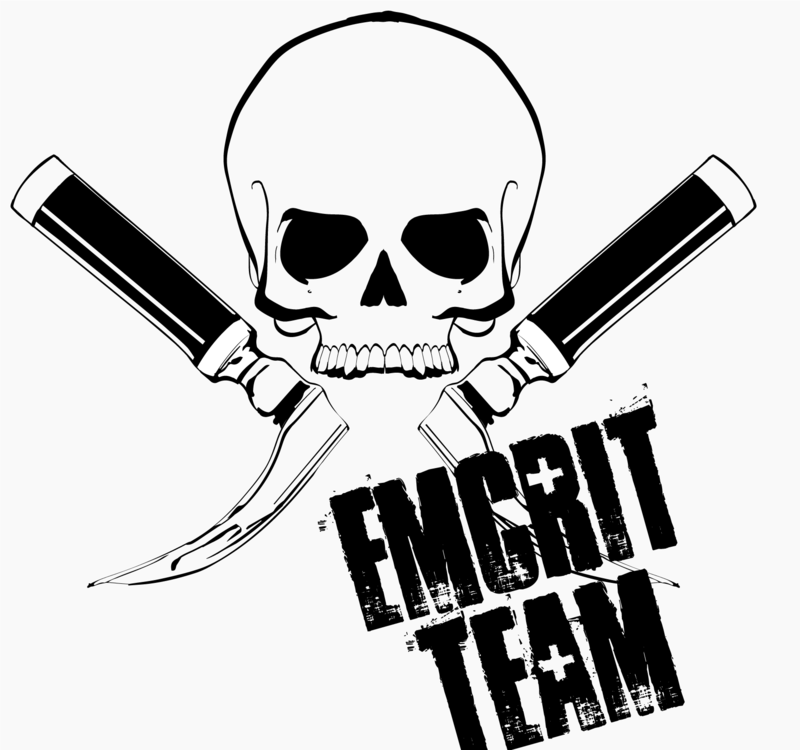 Space is limited as we can generally only accommodate 1-3 participants per month. Through an agreement between the Royal College of Physicians and Surgeons of Canada and the American Medical Association, physicians may convert Royal College MOC credits to AMA PRA Category 1 Credits™. 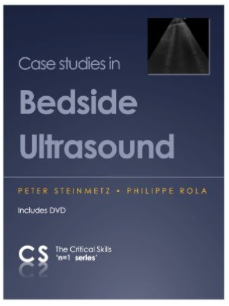 Please have basic experience in bedside ultrasound. We don’t want to teach you about depth and gain. We’re happy to fine tune your views but not to introduce you to the main cardiac views. It would just be wasting your clinical time. We’re here to show you how to assess pathology and integrate your findings into clinical decision-making. Take the basic group course to learn the views, or be self-taught from youtube/iphone and practicing on your patients. You don’t have to be great, but to get the most out of this experience it shouldn’t be your first time holding a probe. Toronto Mini-Fellowships: 800$ per half day (4h). 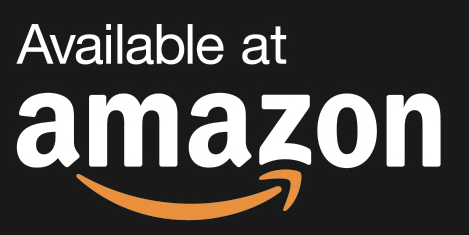 100% refundable until you start. Even if you don’t show up. Really. We’re not in it for the business. We get to go home earlier if you don’t come. I’m a chilean intensivist with a huge interest in Ultrasound. Do you accept foreing phycisians for a short rotation?